Your teeth are important and you need to protect them from external damage on the sports field and internal damage from teeth grinding in your sleep. Our custom fitted mouthguards will protect the teeth from traumatic impact during athletic competition. 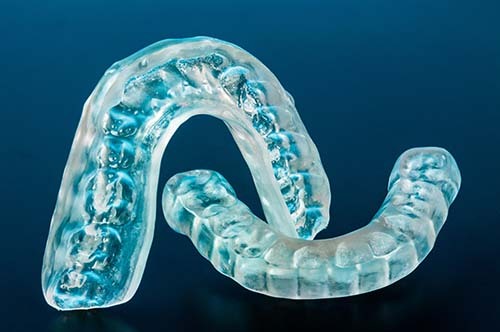 These hard ridged appliances, which can be made to fit either the upper or lower arch, protect the jaw joints from harmful stress and protect the teeth from excessive wear and breakdown due to clenching and grinding especially during sleep when most of the damage to teeth occur. Let All Season Dental maintain your smile to last a lifetime! Call us now to schedule your Mouthguard Fitting at 330-296-3975.